As kids, we have all played games where the police chases down the thieves and returns victorious. The good always prevails over the bad. What if such a game was brought into existence again, only with a lot more thrill and excitement added to it? 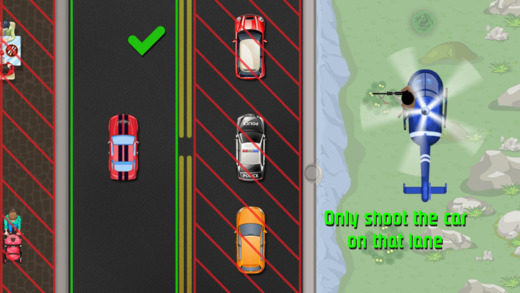 Highway Chase, an iOS app does just that. You are flying at a height of 200 metres in a chopper, chasing down a group of thieves who have just robbed a bank. Each of them have taken different routes to the outside. The thrill of the game is not only in catching the thieves but in keeping other innocent people safe. As you chase the thief’s car down the highway, there are plenty of innocent civilian cars around too. A great amount of care and tact is required to deal with such circumstances. The glitch of the game is in the fact that there are many such robbers in separate cars and you have time constraints before they get away. Developed by Rise Up Labs, this game has an immense amount of thrill to offer. As you are moving at high speeds, you need to aim your sniper at the thief and release the trigger. The slightest miss of aim or time could cause the loss of life of a civilian. As a part of the police, it is your duty to merely filter out the criminals and attack them alone. As you begin with the game, the time you have to take aim and shoot is considerable. As you proceed and the click continues to tick, accuracy and speed are the factors that can mean all the difference between success and failure. 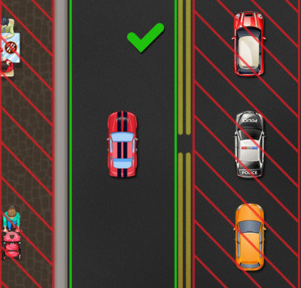 While you are aiming, there are lines of civilian vehicles, you have to carefully aim such that your bullet crosses all these and hits your target from one side of the road. These vehicles are constantly moving to add to the difficulty. Missing your target could cause more havoc than you can imagine. To add to the thrill of the game, the scenic beauty brought out by the splendid graphics will blow your mind away. You can feel your car zooming down an actual highway with high speeds. The animations are life like. The user interface is simple and easy to use as well. 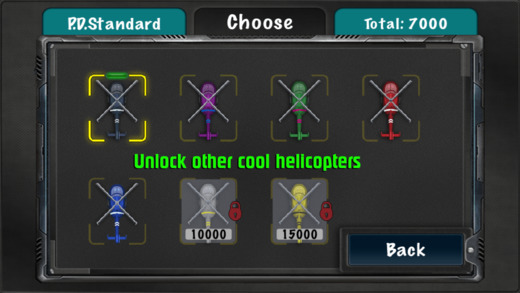 You can unlock other copters as you make progress and reach higher scores each time. The only hard part of the game is the risk factor. Shooting a civilian could cost you your police badge. With so many features and so much fun, here is another surprise- the app is available for free in the App Store. It requires iOS 6.0 or higher and 17.1 MB of free space on your device only. It currently supports 6 different languages. With so much thrill, excitement and fun in store for you, you can feel the adrenaline rush into your veins as you play this app game. It is time to prove how well you can shoot despite all the risk and the thrill.